A thin triangle patty filled with potatoes, onion, and peas. 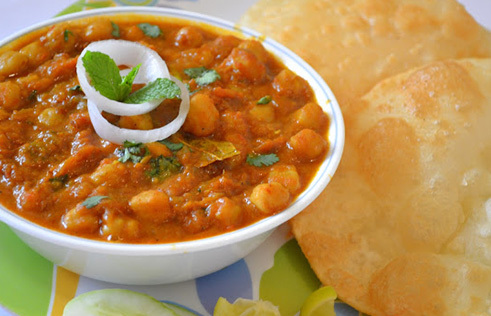 Thin puffed pastry served with chickpeas, potatoes, onions, yogurt and tamarind sauce. Rings of onions marinated in chickpea flour, spices served with mint and tamarind sauce. A combination of veg pakoras, veg samosas, paneer pakoras, served with assorted chutneys. Deep fried bread served with chole, pickle,red onion and green chilli. Deep fried dumpling potato,onion,fresh spinach and Cauliflower mixed with chikpeas flour&spices served with mint and Tamarind souce.